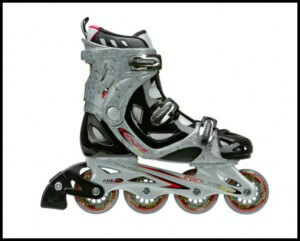 This is one of our most popular inline skates. Proven quality and value. 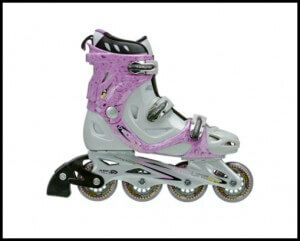 INFORMATION: Get your skate on with the Roller Derby Pro Line 900 men’s inline skates. The Pro Line 900 is outfitted with a three-piece molded boot and a Memory Comfort liner that remembers the shape of your foot. As a result, you’ll stay comfortable throughout your skate. The Pro Line 900 also includes a triple buckle system that gets you in and out quickly and easily, but without sacrificing a snug fit. And the skate owes its performance to the reinforced polymer bridge frame, which holds 76mm Speed Formula cast urethane wheels with speedy Bevo ABEC-7 bearings.